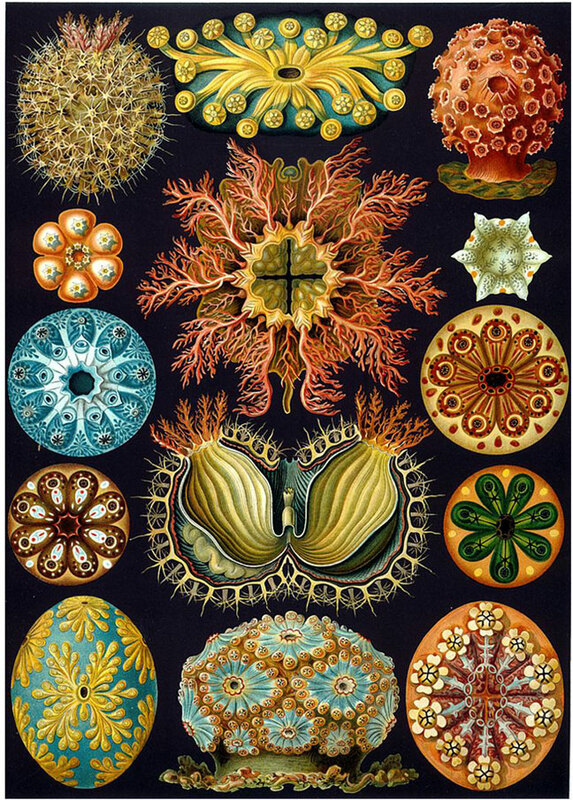 Ernest Haeckel (1834-1919) was a great biologist, naturalist, professor, philosopher, physician, and artist, who was obsessed with capturing and illustrating the organic symmetry, order, and organization found in nature. You may recognize his work from "Kunstformen der Natur” (“Artforms of Nature”), a book of lithographic plates which constructs and portrays animal and plant architecture. 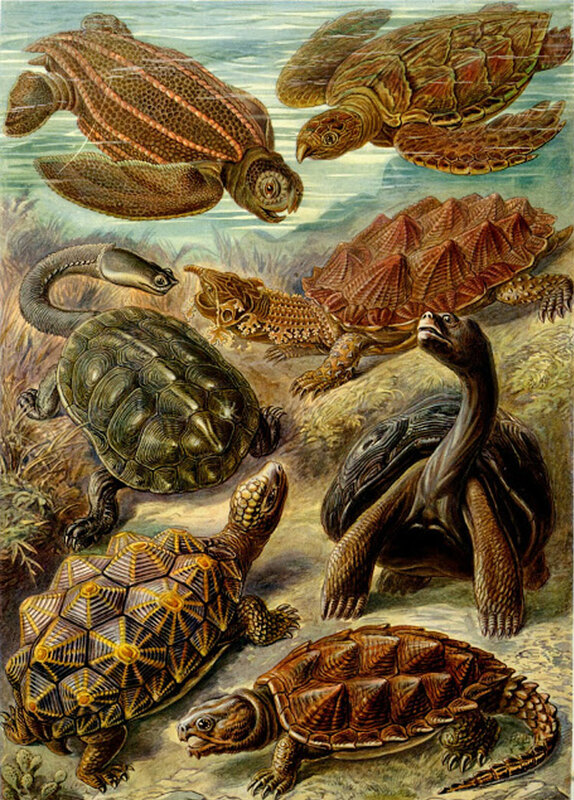 During his career Haeckel produced over a thousand engravings based on the watercolors and sketches he made in his travels.. One hundred of those engravings were used in Artforms of Nature. The plates/pages reveal microscopic organisms juxtaposed with highly developed plants and animals with a geometric and visual soundness that is both breathtaking and poetic. His exquisite form mimics the very orderliness he sensed in his natural subjects. 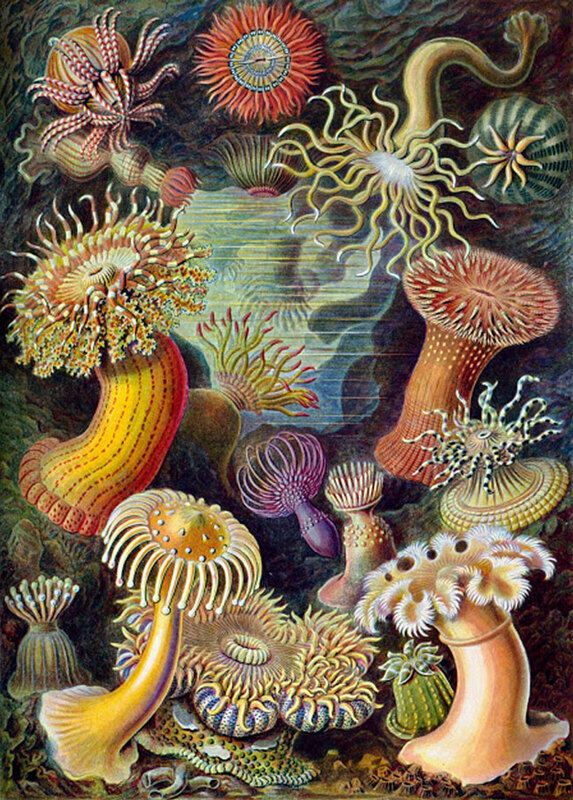 Illuminated is Haeckel's monistic notion of the unity of all things and a oneness of the world in its most diversified forms.